2011.9--now, System Engineer, ACARIC Co. Ltd.
2011.4--now, Guest Researcher, Jin Lab, Waseda University, Japan. 2011.6--2011.8, Interships of Career Paths of Postdoctoral Fellows and studentsS between Acaric Co. LTD, Japan and Nagoya University, Japan. 2005.5--2006.5, Visiting Scholar, Matsumoto Lab, Waseda University, Japan. 2003.7--2007.3, Instructor, Guilin University of Electronic Technology (GUET), China. 2008.9-- Member of International Association of Engineers(IAENG). 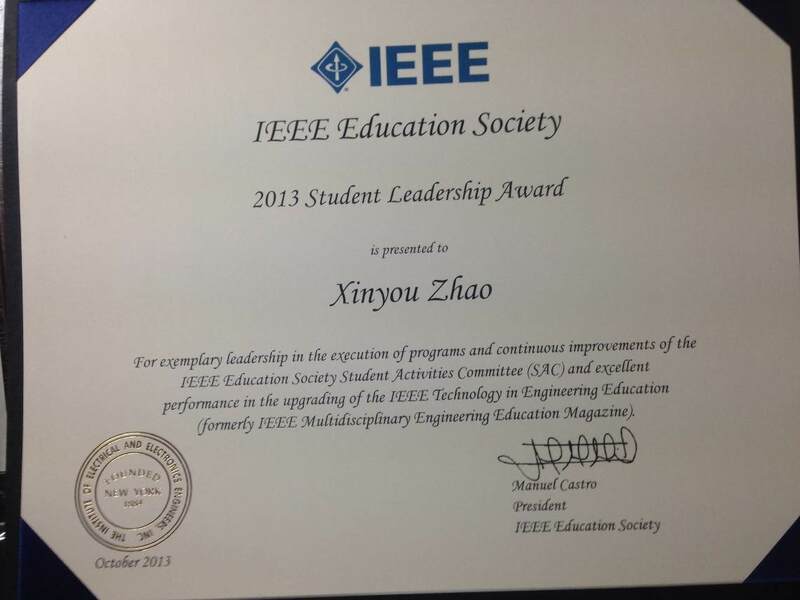 2008.4--2012.12 Student Member of IEEE. 2008.4--2010.3 Japanese Society for Information and Systems in Education(JSISE). 2007.1-- Asian Radio Astronomy Winter School 2007, National Astronomical Observatory of Japan.